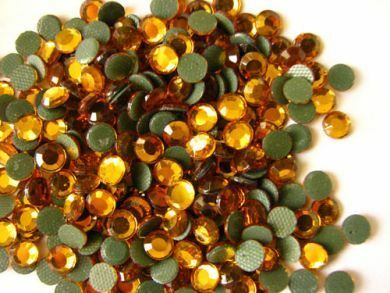 6.5mm topaz coloured crystals backed with heat activated glue can be ironed onto fabrics, paper, card etc or use a heat gun to set in place. On delicate surfaces, the crystals can be glued with your ususal adhesive instead of using heat. Available in a range of colours.